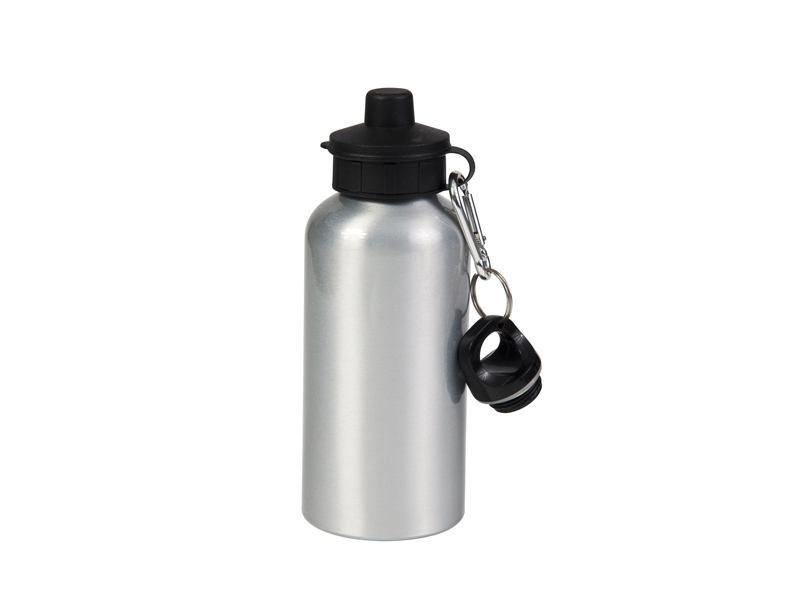 600ml Silver Aluminium Water Bottle with two tops-BestSub Malaysia - Sublimation Blanks,Mugs,Photo Jewelries,Sublimation Cases,Heat Press Machines,3D Sublimation,Laser Printables. Our sublimation water bottles will quench your thirst for a fashionable, multi-purpose product! Aluminum Water bottles are perfect for making one-of-a-kind items. Use them to create one for each individual guest at a picnic or use to celebrate your favorite team at a sporting event! Each comes with a sports top. Check your mug press user manual for specific time and temperature.